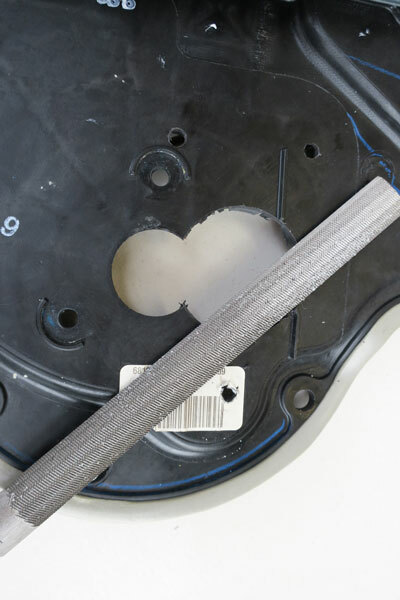 motor mounting plates and detailed installation instructions. This kit comes with step by step instructions to allow backyard mechanics to do a professional installation. Inner carrier panel is removed. 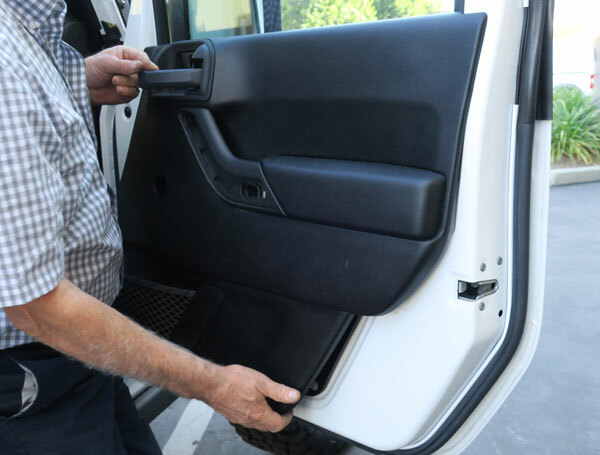 Our customers tell us that removing the door panls and carrier panels is the toughest part of the job. Using template, drill holes and modify carrier panel to fit new motor and regulator assemblies. regulator is attached to carrier panel and motor is mounted to carrier panel with motor mounting plate. 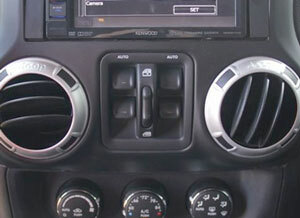 Factory switch is mounted in place of pocket between the air registers in the dash. Note that the switch snaps right into the existing hole. The front windows also have the auto down feature! 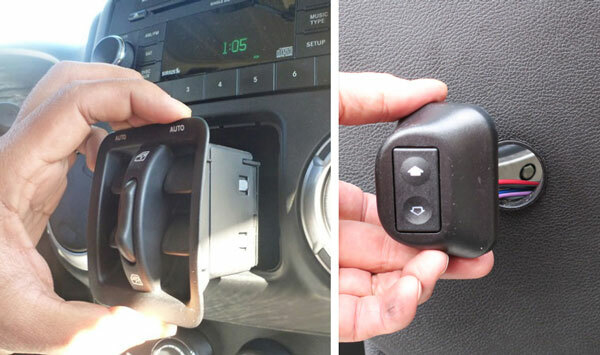 Switches and mounting panels are mounting over the old crank handle holes in rear doors. Plug wiring into the mauin switch and run through dash and into the doors. Wirng is preassembled making installation a breeze. 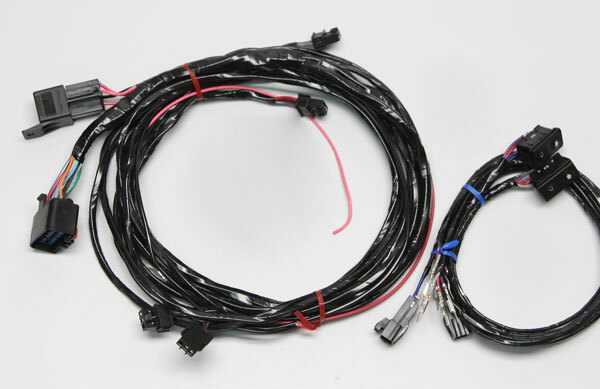 Unlike other kits, you do not have to assemble 26 wires into their respective connector blocks for the main switch. 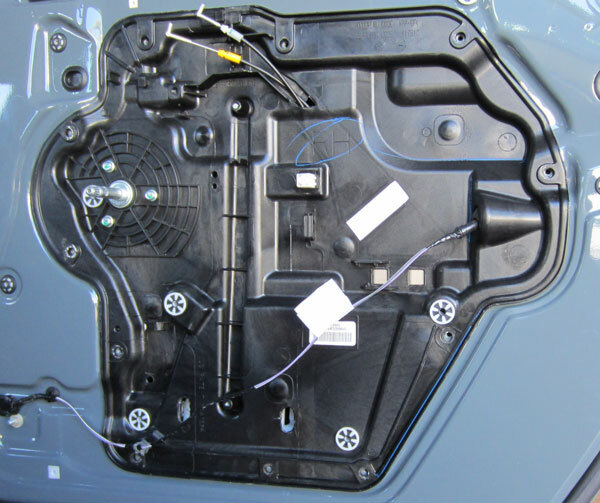 2 or 3 wires are left loose in each door to allow them to be run through the cloth door jamb harness protectors. Heavy duty connectors are installed allowing doors to be removed. Simple 3 wire hookup. One power wire goes to the battery, one goes to an ignition power source and the third gets grounded in the kick panel. 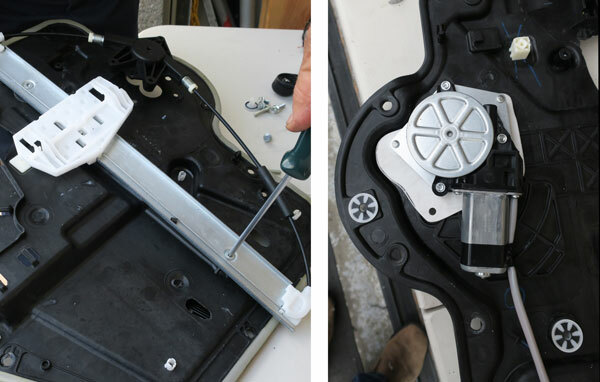 See more information on our Jeep Wrangler power window kit & power door lock kits. 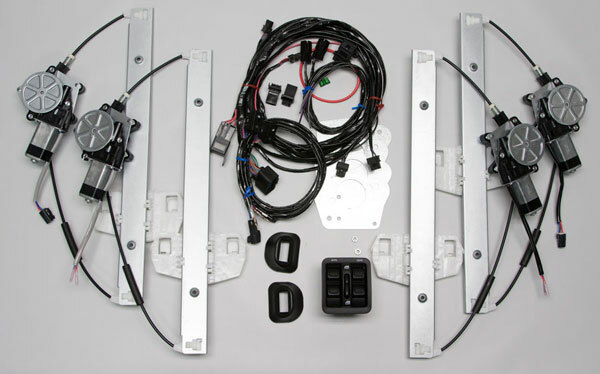 These complete kits are all designed specifically for the Wrangler.